The way I got here was so circuitous (as it is with most ‘places’ I arrive at) I won’t confuse you with it, but I found myself back reading a Tumblr post I had come across months ago by artist Joel Watson of the webcomic Hijinks Ensue. The story Watson shares is a sweet one, about an interaction between a father and a son at this year’s San Diego Comicon. It’s about acceptance and taking a few moments to enjoy time with the people you care about. It struck home with me for a couple of reasons but the biggest one was the part about acceptance. 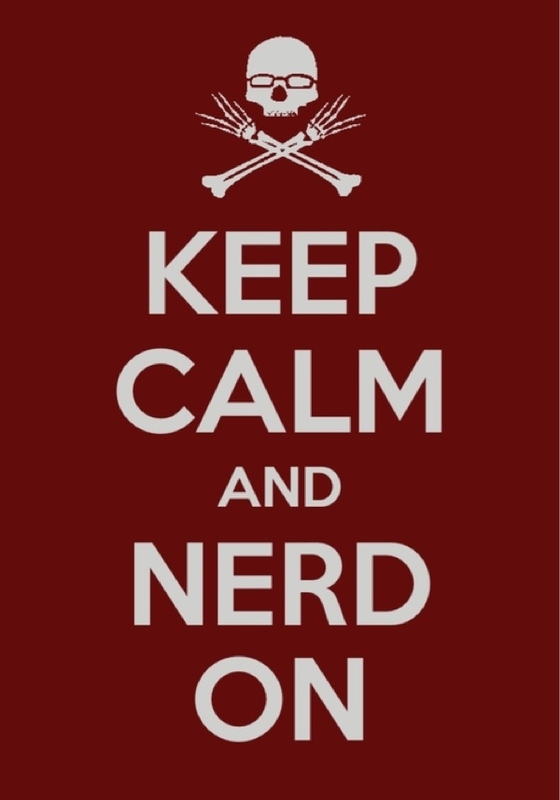 Of course, as a self-proclaimed nerd, geek or whatever the whole “acceptance” thing is important. I certainly have felt alone or different most of my life. I’m willing to bet most of us have whether we admit it or not. It took a long time to feel comfortable in my own skin—and I readily admit there are days I still don’t. Which is amazing because the more I work in media and the more people I meet, the more I find they hold very similar interests to my own. So the post hits home because one of the things I really want to do with the boys is to empower them to love what they love and not worry about what others think of it. Not long ago Alpha Tween (who recently I considered re-naming Sullen Tween because hormones) relayed a story to me about something that happened at school. Despite being 12, Alpha is still a fan of Pokemon. I’ve never totally understood the fascination (though I am a fan of Psiduck) but hey, whatever floats your boat, right? And he definitely has friends who still enjoy looking at and playing with the cards and video games. He was with his friends at lunch and two of his friends were doing something with Pokemon cards. Alpha was watching, not playing but hanging out when he ended up in a conversation with two 6th graders. The younger kids asked him if his friends were really playing Pokemon. Alpha responded, yes they were. They then asked him if he liked Pokemon too. Alpha said he did. The two kids then proceeded to make fun of all three kids, laughing as they walked away. I asked him how he felt about it and he shrugged. I’d like to think he learned this from my wife and I. That when his younger brother was running around in pretty princess dresses and we didn’t bat an eye, he learned it’s OK to be different. That no matter what others think, who you are is fine. That’s going to be a fight, especially for the tween/teen years which are all about standing out by fitting in. But we’re well on our way. I think, ultimately, this is why geek culture has become such a “thing” over the last decade. It’s about acceptance. It’s filled with people who “didn’t fit in” to what the norm was, who learned to embrace differences in others because they had their own rejected and in some cases belittled. Sure, there is infighting because every group on earth has jackholes in it (I believe that’s a law) but by and large it’s an accepting bunch. Everyone wants to be accepted and liked—even the people who try hard to make you think they don’t. On some level, they absolutely do. Hopefully my wife and I can put together a pair of kids who will help them feel that way and who will always feel that way themselves.